Harbourside Rehabilitation Inc. is a Nova Scotia-based Occupational Therapy and Vocational Rehabilitation company which has provided Occupational Therapy and vocational rehabilitation services since 2003. We have spent years working with diverse client populations developing the skills and knowledge in the areas of complex case management, return to work planning, workstation assessments, ergonomics, attendance management programs for employers, mental health counselling and cognitive rehabilitation including cognitive screens. Harbourside is pleased to offer services in English in the Moncton and surrounding areas. Sherry has worked in both the public and private sectors since becoming a registered occupational therapist in 1990. She has experience in a variety of clinical areas including, spinal cord injury rehabilitation, traumatic brain injury rehabilitation, cognitive assessment and rehabilitation, mental health and seating. Sherry uses her creativity and fitness background to assist clients to improve function. Sherry is certified to offer the Progressive Goal Attainment Program (PGAP), BrainFX 360 assessment and Metriks FCE (Functional Capacity Evaluation). Sherry is now based in Moncton, New Brunswick. View Sherry's curriculum vitae (PDF). Linda graduated from Acadia University with a Bachelor of Arts degree and obtained a Business Administration certificate from the Nova Scotia Community College at which time she received the award for Top of her class, the Queen Elizabeth Medal for the school and a certificate of recognition from the Certified General Accountants Association of Nova Scotia for highest mark. She worked full time for 14 years with Maritime Life and then 2 years with Manulife Financial, first as a mortgage administrator and then as a fund accountant. Upon her position being outsourced, Linda decided to work part time to be able to balance her home and work life, and be at home with her two boys. She came to Harbourside Rehabilitation in October 2007 and works as office manager, maintaining the accounting system and general office administration. Joslyn graduated from York University in 2014 with a Bachelor of Arts degree in Psychology, and in 2016 graduated from the University of Western Ontario with her Masters of Science in Occupational Therapy. Joslyn has clinical experience in a variety of practice areas, including mental health, cognitive assessment and rehabilitation, return to work planning, stroke and brain injury rehabilitation, sensory processing and case management. She has worked with child and youth, adult and senior populations in a variety of community , clinical, ad hospital settings. Joslyn strives to provide a client-centred and compassionate approach in helping clients to achieve optimal function in the activities that they need and want to engage in on a daily basis. Julia graduated from Acadia University with a Bachelor of Kinesiology in 2013. In 2017, she graduated with her Masters of Science in Occupational Therapy from Dalhousie University. Over the course of her academic and professional endeavours, she has gained clinical experience working with young children with Autism, providing day programming for adults with developmental disabilites, and providing a variety of services in private practise including case management, return to work planning, functional rehabilitation programs, job site analysis, ergonomic assessments, and adaptive equipment education. Julia is passionate about using evidence-based strategies to help people achieve their goals and participate fully in what they want or need to do. 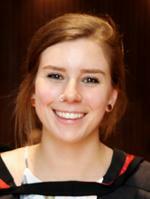 In her spare time, Julia enjoys playing and coaching Ringette in the local community and playing music. Jennifer graduated from Dalhousie University School of Occupational Therapy in 1999. Since then she has worked in hospital and community based settings, both in public and private sectors. She has extensive experience in complex case management, ergonomics, and return to work planning. Workplace wellness, returning to work and remaining healthy and productive in the workplaces has been a focus of her career. She has worked with clients in the development of activity reintegration programs, pain, stress and time management programs, as well as medical and vocational rehabilitiation programs. In addition to direct client care, Jennifer offers a repertoire of supervisory, program development, promotion and evaluation skills from her previous employment. She is committed to the betterment of her clients, her profession and has shown leadership within the community of occupational therapists. Jennifer is a PGAP and BrainFX 360 provider. Lynn has been a registered occupational therapist since 1992. She has worked in both the public and private sectors in Nova Socotia and Ontario in a wide variety of practice settings including acute care, rehabilitation and communty-based practice. Her experience includes traumatic brain injury, stroke, orthopaedics, mental health, seniors health, ergonomics, and soft-tissue injury recovery. She has developed assessment and intervention skills in the areas of home accessibility, seating, activity reactivation and goal-setting, as well as the use of remediation and compensatory strategies for cognitive-perceptual deficits. She provides activity reaction/behavioural therapy programs to individuals with mental and/or physical issues for pre-vocational purposes.